Here is all the latest news and information about our services, projects as well as other things we’re interested in. 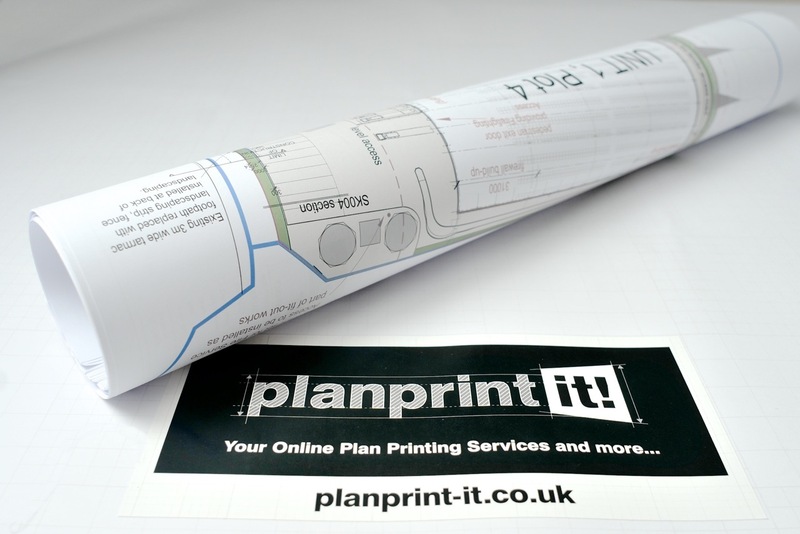 Here at Planprint-it we don't just offer standard sized printing of plans, drawings and photos, but also oversized, no standard sizes. All printed and shipped same day, so you get them next day! We serve 100’s of people like Annie the Architect every month, watch our short video to see how we can help you! Better still, Upload your PDF files by 1pm and we'll print and despatch your plans, charts, graphs posters or whatever-it! is that you need to print, the same day, for delivery the next day, UK wide, with full door to door parcel tracking and predictive delivery window notification. www.planprint-it.co.uk is a print service you can use without leaving your desk. Our users include Architects, Builders, Developers, Surveryors, Consulting Engineers, Self Builders, Councils, Advertising Agencies, Film Makers, Creative Design Companies, Model Builders and many more. We are delighted to announce the launch of www.Planprint-it.co.uk, a new online service for printing & shipping large format colour and black/white plans and prints. We print on the same day and despatch to any mainland UK address. We have over 20 years experience serving the Architectural, Construction and Engineering sectors with wide format services such as technical drawing scanning, copying and plotting. We recognise the changes in how vital drawing based information is now distributed to clients, suppliers and supporting subcontractors. We can now provide the solution. Traditionally, companies with construction projects to tender, would supply printed sets of plans & drawings to each of the relevant interested contractors. Today, with the advances in technology along with increased internet speeds, these printed plans have been substituted for PDF drawing files, often emailed or accessed via Cloud based archives. This has given many of you the challenge of printing them or the finding the time to locate and then drive to a printing company who can. And so www.planprint-it.co.uk was born. We’ve designed the site to be easy-to-use while also offering a range of print variants to ensure that each plan printed is fit for its intended purpose. We want to solve many of the problems you face. The site is mobile friendly. Everyone needs to be able to work on the move. Onsite? No problem. Our simple ordering process allows you to upload plans and drawings to our website from wherever you are, by mobile, tablet or desktop. You will get a ‘My Account’ area where you can review passed orders, download an invoice or even create a fast reorder without having to upload the drawings again. The site will continue to be developed as your needs and requests are clearly understood. Plans are also required for many different uses. Some of our clients simply need large scale plans for reference, others need high quality Colour Presentation Plans or Mounted Panels for exhibitions and consultation review, or even Encapsulated Plans for long term durability onsite. We can print plans for in-store collection same-day or print and ship same-day for next-day delivery UK wide by UPS and DPD with full tracking and preditive window delivery. Want to Try Us? Use the promotional code FREE-DELIVERY for Free Delivery on your first online order.